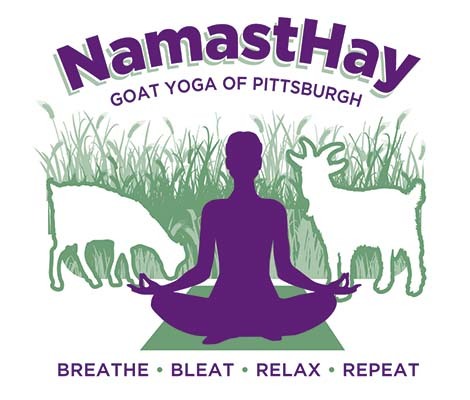 As the first to bring goat yoga to Pittsburgh, HUH and Jen's Yoga Zen have teamed up to offer public and private yoga classes for our customers. If you are interested in the public classes, we offer four sessions a year — two in the spring and two in the fall. You can join 150 or more participants in each session. 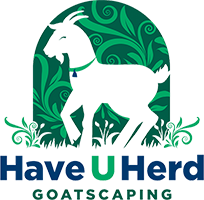 Our kids invite your kids to participate as children ages 4-10 can attend for free; however, we do not recommend children younger than that age range. If you're interested in private classes, please contact us for a free consultation to discuss different options and personal customization. Release the stress and tension in your body while you gain complete focus at our serene location at Potential Farms in Presto, Pennsylvania. 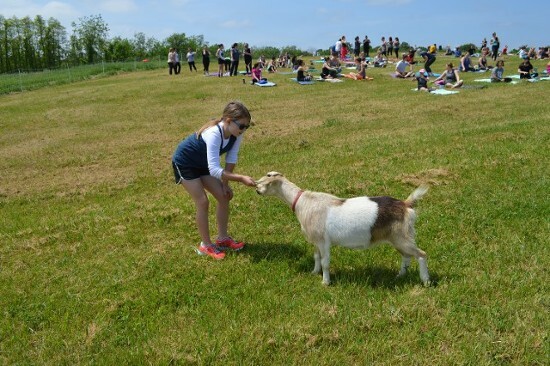 We offer a peaceful outdoor experience with mindful yoga poses, guided relaxation, and playful animal interaction. While you practice your yoga, the stunning view of the valley from our farm on the hill will enhance your commune with nature. 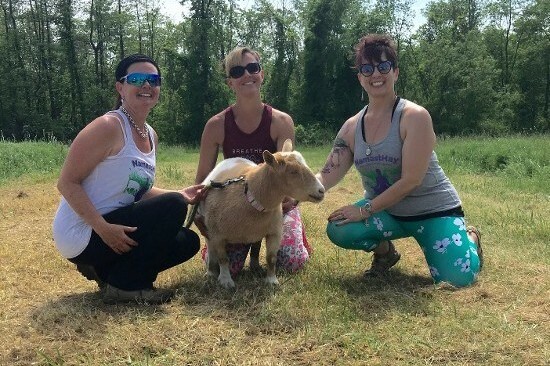 If you're interested in an hour and 15 minutes of blissful yoga set among our critters, keep an eye on our Facebook page during April and May as well as September and October. 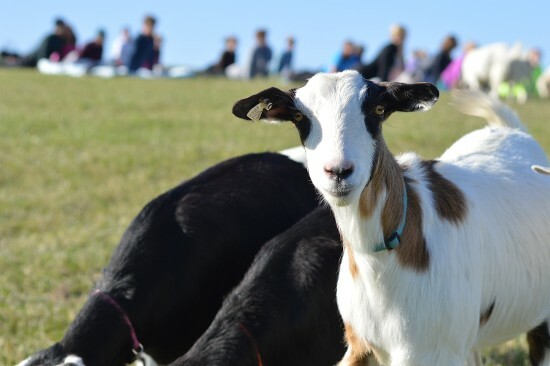 You'll also gain peace of mind knowing that some of the proceeds from our goat yoga program go to a humane charity of our choice.